Los Angeles - Dec. 5, 2013 - For the fourth time in a row, the American Nurses Credentialing Center has granted Cedars-Sinai the Magnet® recognition, the most prestigious designation a healthcare organization can receive for excellence in nursing and patient outcomes. Cedars-Sinai in 2000 became the first Southern California hospital to earn the Magnet honor; it is the only hospital in the state to be granted the designation four times. Cedars-Sinai joins a select list of only 12 hospitals worldwide that have earned Magnet recognition four times. Nationwide, fewer than 400 hospitals have earned the four-year Magnet designation from the American Nurses Credentialing Center, the credentialing arm of the American Nurses Association. Studies show that Magnet hospitals tend to have lower mortality and infection rates, as well as higher patient satisfaction and nurse staffing levels. "On a daily basis, Cedars-Sinai's nursing staff sets the standard for our nation's medical centers in terms of quality, compassionate care, and the Magnet recognition reaffirms what our patients and the rest of our staff know well," said Thomas M. Priselac, president and CEO. Instituting a new program called "Rock and Roll" for women in labor. Nurses help the women move – often positioning them on an exercise ball – to shorten labor time and decrease the number of cesarean sections. Joining an initiative called Nurses Improving Care of Healthsystem Elders and participating in the identification and assessment of frail elderly patients to decrease that population's length of hospital stay and readmission rates. Additionally, Cedars-Sinai was recognized for its commitment to continued nurse training and education. Cedars-Sinai has been providing nurses with free educational programs and financial assistance through the Geri and Richard Brawerman Nursing Institute since 2002. The medical center also sponsors employee tuition assistance for baccalaureate and master's degree classes and offers review courses and exams for specialty certifications. As a result of the institute's programs, approximately 69 percent of nurses at Cedars-Sinai currently hold specialty certifications, 73 percent have baccalaureate degrees and 14 percent have master's degrees. "This accomplishment recognizes not only our excellence in nursing, but our ability to provide the highest quality patient care that exceeds the expectations of those who trust us with their lives," said Vice President and Chief Nursing Officer Linda Burnes Bolton, DrPH, RN, FAAN. "I am deeply grateful to all the members of our staff, our community and academic partners and all of the departments that helped us to receive our fourth Magnet designation." 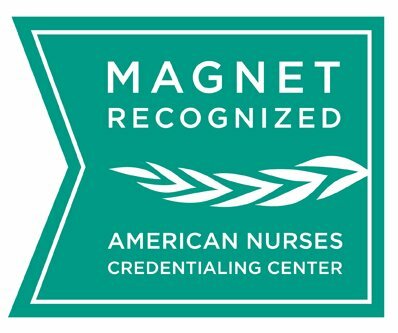 Magnet designations are based not only on the quality of care provided, but also on a commitment to continuously improving patient care and the health of the community. The designation recognizes excellence in nursing and provides consumers with a benchmark to measure the quality of care they can expect to receive. To determine a facility's Magnet designation, the American Nurses Credentialing Center judges the quality of nursing leadership; consultation and resources; organizational structure; nursing autonomy; management style; relations with the community; personnel policies and programs; nurses as teachers; professional models of care; image of nursing; quality of care; collegial nurse-physician relationships; quality improvement; and professional development.